By land, sea, and sky, the active traveler will immerse him or herself in one of the most diverse places on Earth. Hiking the ancient Inca Trail or climbing up to the top of Machu Picchu — one of the New 7 Wonders of the World — is only the beginning in Peru. Surf amidst the rustic beaches of Mancora in the North of Peru or zipline above them. Paraglide through Costa Verde in Lima or sit back on an Amazon excursion and let one of Earth’s most biodiverse ecosystems amaze you. With dune buggy rides and sand surfing in Huacachina, from North to South, Peru is filled with hidden treasures waiting to be discovered. 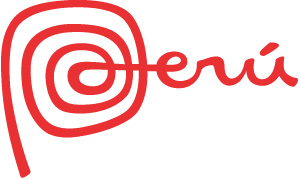 Book your Peru adventure deal now! Cycle Colca Canyon, one of the world’s deepest canyons. Explore the Deserts of Paracas by 4x4. Explore the Peruvian Amazon by dugout canoe or a houseboat. Hike the Great Inca Trail, a 2000 mile long trail, part of the ancient Andean highway system. Catch the sunset paragliding through Costa Verde in Lima. Take the Salkantay Trek to Machu Picchu, a sacred remote footpath. Surf the beaches of Máncora. Go birdwatching in Tambopata National Reserve. The Amazon Rainforest comprises 60% of Peru’s national territory, boasting 10,310 known species of flora and fauna. The Colca Canyon is home to the "Eternity Bird," the largest flying bird called the Andean Condor with a wingspan of an impressive 7-9 foot. Tambopata National Reserve is home to 1,234 species of butterflies and 592 species of birds, making it a must-visit spot for birding enthusiasts. Among the inhabitants, find King Vultures, Macaws, Capped Heron, Hoatzin and Red-billed Scythebill here. The Salkantay Trek to Machu Picchu was named one of the 25 Best Treks in the World by National Geographic Magazine. The Inca Trail is part of the ancient Andean highway system called the Qhapaq Ñan, built by Incas in the 14th and 15th century. Cerro Blanco sand dune, located 10 km from Nasca, is the highest sand dune in the world. It measures 2,078 feet from the base to the summit. You can find more than 3,000 varieties of potatoes in Peru, and more than 55 of corn! Lake Titicaca, forming a natural border between Bolivia and Peru, is the highest navigable in the world. 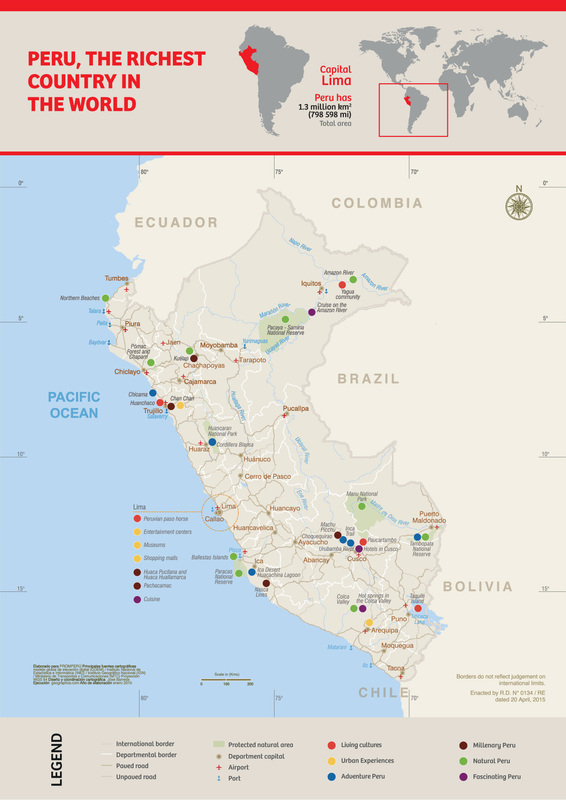 Peru is one of the world’s 10 mega-diverse countries: it holds 84 of the 117 life zones and 28 of the 32 climate types on our planet. The pisco sour is Peru’s national drink.